Yet another glitch has been discovered in Super Smash Bros. Ultimate on Switch, this time giving King K. Rool a much larger-than-usual crown to batter his opponents with. As always with these glitches, you need to meet a very specific set of requirements to make it trigger. For this one, you'll need to go into a match with just King K. Rool and Yoshi. Start off by throwing K. Rool's crown away, before having Yoshi gobble him up to make a nice Kremling egg. If you get the timing just right, K. Rool won't be able to catch his crown and, for some reason, it suddenly expands. You can see it happen in the video below; Yoshi actually manages to give K. Rool a satisfying whack with it while both players stand around momentarily confused. There's a bit of a knack to it, though; this second video shows how it can be quite tricky to time things just right. So, we've now seen the Isabelle and Villager game breaker, the infinite Waluigi glitch, an entire compilation video, the super-sized Pikmin glitch, and now this. 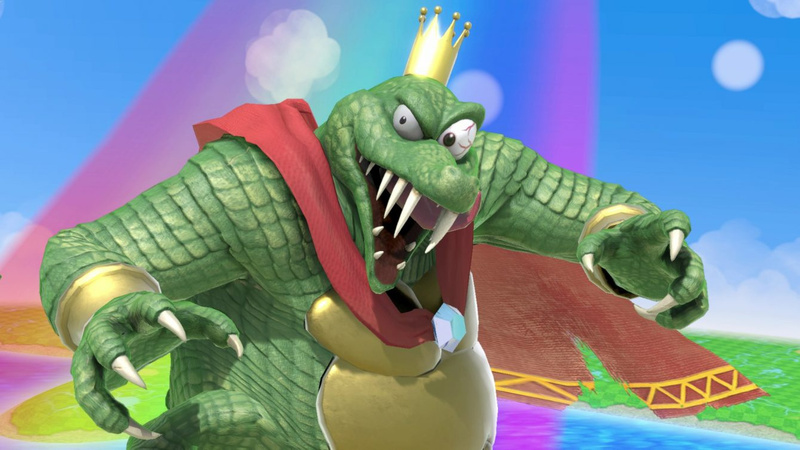 We'd expect this K. Rool glitch, at the very least, to be patched out pretty soon - it's unclear whether the crown's hitbox also grows alongside the visual, but if it does, the competitive scene could get messy. Have you tried any of these glitches out for yourself? Do you think many more will be discovered? Share your thoughts with us below. Well, the game testers did their jobs didnt they. Now the crown will fit King Pikmin. I can't believe they released the game in this state, game developers have no shame these days! 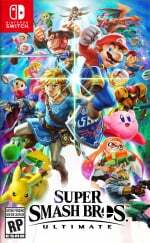 Speaking of glitches have the two Isabelle related glitches been patched out yet? They've been well known (and spread all over the internet) for at least a month now so plenty of time has passed for them to be fixed. I am surprised there aren't more game breaking bugs with so many items and characters in a single game. I can't imagine how long it would take to do extensive testing with each combination of characters and items. I can see how these size glitches can happen. in this case the "egg" object is attached to the k. rool character, and it grows as it separates from yoshi to match k. rool's size. the crown is also attached to k. rool, and it grows to match k.rool-egg's growth. the crown being able to grow is most likely in case k.rool in his normal form grows(from a mushroom for example), and they forgot to disable it when k.rool's growth is not applied to his normal body/model. What if the players WERE the playtesters all along? Too bad it doesn't stay giant when he puts it back on his head. Man people are really going out of their way to find these glitches. NLife needs to start a "new glitch found" blog for Bethesda and Ubisoft. The fun will roll non-stop. Ha! That would make Sakurai even more awesome than he already is! Hey look, Yoshi can expand gold. This will surely solve his IRS dodging problem right? He can just bribe his way out now! Fun little glitches like these are fun. Glitches that completely break everything, make the game unfun or impede progress/delete your save are not fun. You really need to play extensively to find these. How long has the game been out now? There's no way initial testers could have found this, especially since it took so long. I did something the other day where R.O.B. 's top turned gigantic. Do I have to recreate the possible glitch and film a video of it in the hopes of becoming internet famous for several minutes? Glitches are such tedious work.